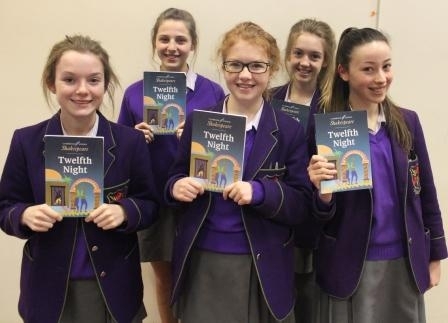 On Tuesday 18th March, 43 Year 9, Year 10 students and 4 staff piled aboard a coach bound for the Bolton Octagon, ready for the night of mayhem and fun promised by the David Thacker production of ‘Twelfth Night’. It didn’t disappoint! Students were moved by Viola’s sadness for her brother’s death, impressed by Orsino’s skill on the piano and laughed along with the clowning of Sir Andrew Aguecheek, Sir Toby Belch, Feste and Maria.